Genesis Energy is currently working hard to put together the company’s 2018 GWHV event at Tokaanu Power Station in the central North Island. It’s the second year the company has participated in the GWHV programme, which aims to provide insight into the career opportunities for young women that lie in infrastructure industries. Opportunities they may not be aware of otherwise. “The beauty of it is that it makes those opportunities and choices visible to young women. Often they’re not presented with trades as an option when it comes to leaving school and choosing a career, but I think trades offer incredible opportunities. Instead, Rebecca Larking found her way into the power industry by going to university and studying as a hydrologist. From there she moved into an environmental role and into operational roles. 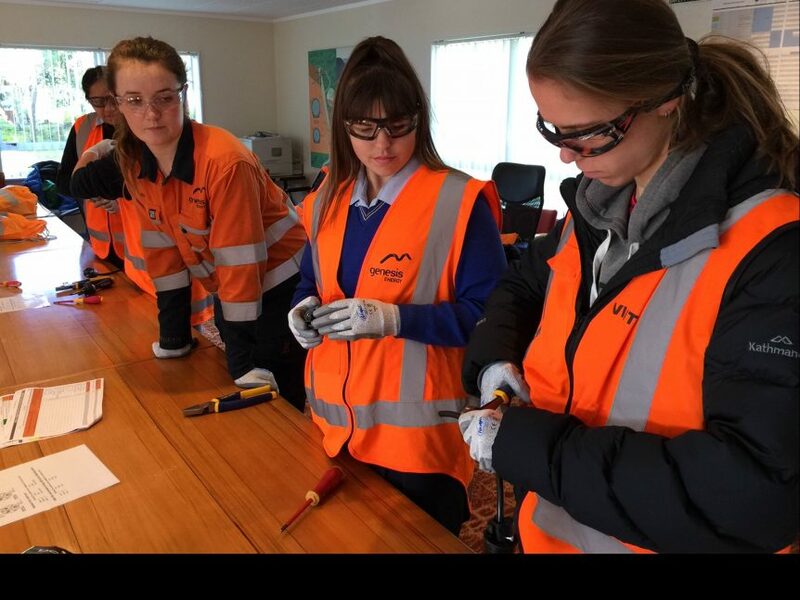 Rebecca’s own career path from hydrologist to a general manager is a clear example of the job variety that lies within the power industry, and that was what took most attendees at last year’s Genesis GWHV event at Tokaanu by surprise. “I think most of them were expecting everything to be very engineering focused. While we showed them that choice and presented them with women in those roles, I think the variety of roles which make up our team really surprised them,” she says. The success of that event saw Genesis happy to commit to a second event in 2018. It’s grown from nine or ten girls last year to about 42 lined up for this year’s event. Rebecca says the wider benefit of being a part of GWHV is to make Genesis a more diverse and representative workplace.